headrest in car actually hurt the top of my head, as I am only 5 foot. FINALLY, with this product it is very comfortable and am able to sleep on long rides. I purchased one several months ago. I placed it in my vehicle and was very impressed how comfortable it was when we were traveling. I purchased two more and placed them in my other vehicles as well. It has helped support my neck and prevented injury when my husband threw on the brakes so fast that I was slung back and forth (even with a seat belt on). The pillow makes it more comfortable when I am sleeping in the passenger seat also. I am purchasing more to give to my daughters. This pillow is a good buy. It is a quality product also. Great find for my trip, will certainly come in handy!!!! We had to move the car headrest so the pillow would position the head and neck in the correct and comfortable position. My husband had neck surgery so needs neck support in all seats. 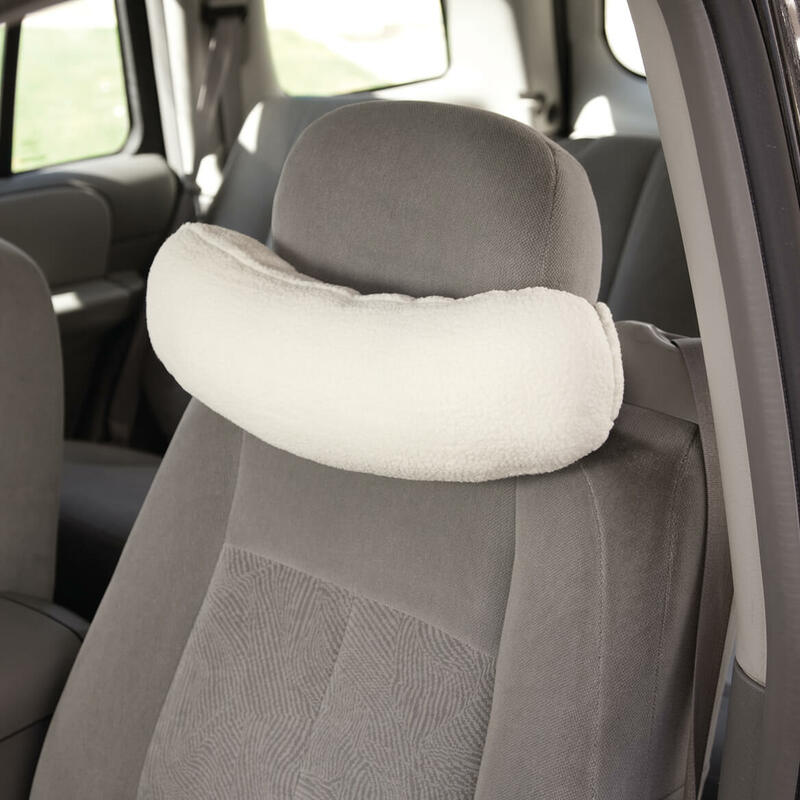 This pillow goes with us even when traveling in other people's cars. Doesn't squash down like some other pillows. We even bought another one we liked it so much. I HAVE A BAD NECK ISSUE AND BOUGHT THIS TO MAKE MY CAR Ride more pleasant . I was pleasantly surprised find that pillow and its shape was a lot more comfortable for my neck. Unlike other pillows I have tried , it also stays in place. Ah, such a wonderful product. It was a good price,too. Great for a sore neck! Purchased two of these...one for the driver's side and one for the passenger's side. They are wonderful. Very comfy and supportive for your neck area. I originally bought this as a gift for my spouse to use in his car to help him with his chronic neck pain. Well, he tried it out in his lounge chair at home that he uses everyday and it's never left since because he likes it so much. Now, I'll have to buy another one for the car. I wish I had thought of all the places you can use these at because I would have bought one for myself! Bought one of these for myself when riding with my husband. We both liked it so much, we now have one for each front seat in both cars. They' provide the right amount of support for both of us; he's 6' 2" and I'm 5' 4", no matter who is driving. 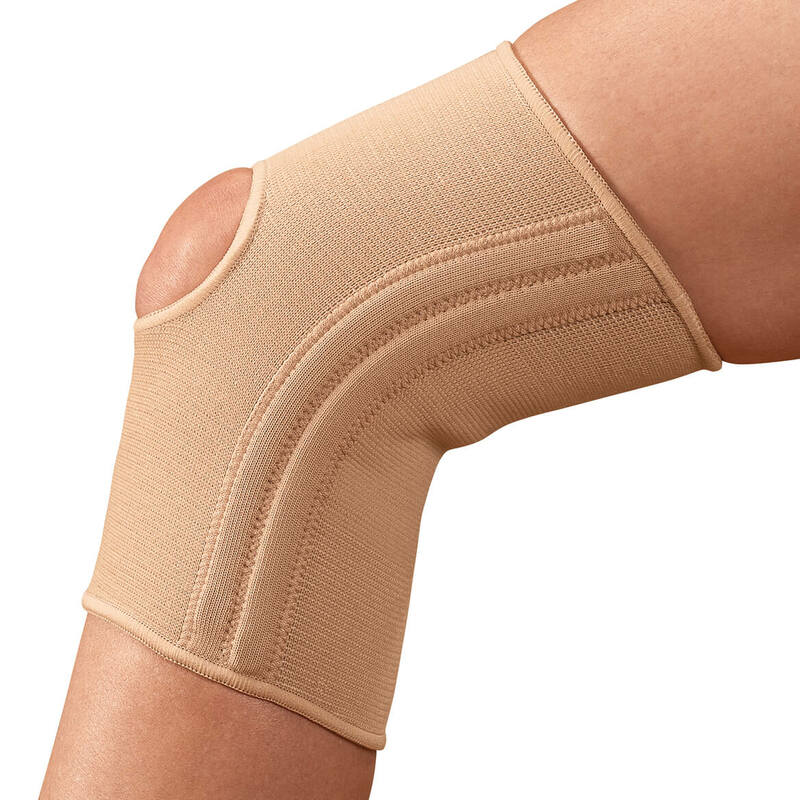 They have kept their shape while proving a soft, comfortable, cushy support. Comfortable and great for neck support. Got this for my mom to use in my husband's car. She liked it so much, I bought another for my car. I can't drive far without muscles seizing or going into seizures. With this head rest I am able to rest my head while driving and ease the stress I normally get in my shoulders while driving. Won't drive anywhere without it now. The adjustable headrests in my husband's car have never been comfortable for me; I think I'm a little too short. I'm so happy I ordered one of these Sherpa cushions! We just took a 7 hour trip, and I had no neck or shoulder discomfort on the way up or the way back. In fact, it's so comfortable, I managed to get in a few naps on the way. 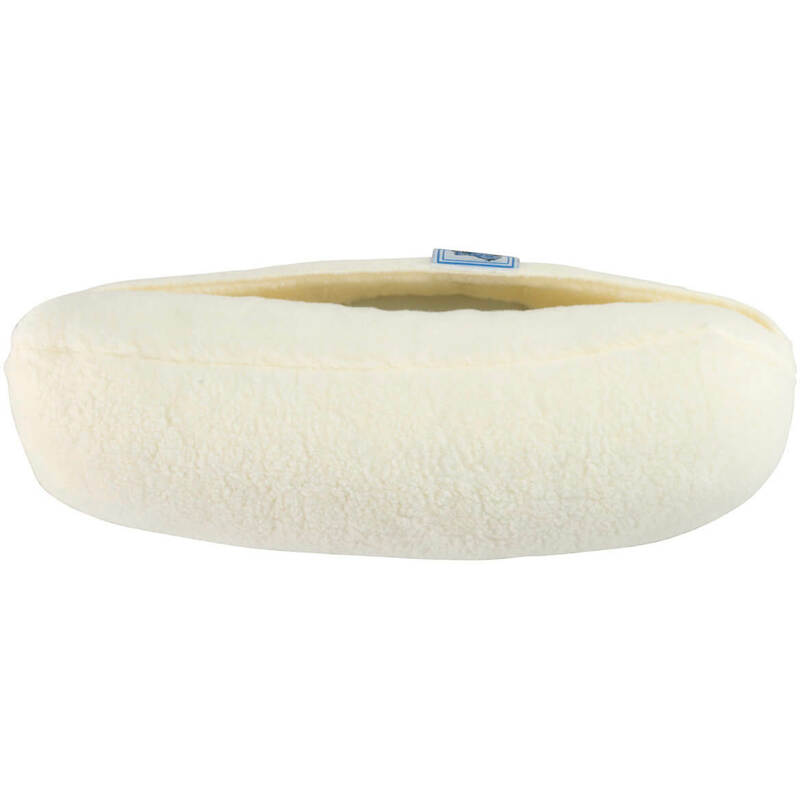 The cushion is very well made; it feels like memory foam, and the Sherpa cover is so soft, I must have commented at least every hour of our trip that I was so happy I found this product. In fact, I just ordered another one for my own car. My friend I bought it for thought it would be good to take to the movie theater. She has serious neck problems and it would help support her neck for long periods of time. it is great for me because i have a tendency to rest my head back while i'm driving and the support pillow keeps my head straight. This product is so wonderful that I'm glad I bought an extra one for my brother for Christmas. We both have issues with our backs that can make a long drive excruciating. Although I'm short, and my head doesn't reach the headrest at all, that's not what I'm using it for; instead I pull it far enough down on the back of the seat that it supports the middle of my back perfectly. Amazing improvement! It is very comfortable on my neck. Fits good on head rest. SUPPORTS NECK BETTER, IT'S SOFT & CAN BE WASHED. LOOKS GOOD TOO. Finally. A neck support that fits me! I really like the Sherpa Neck Support because it stays put. I'm short (5'11") and the head rest is always to far up for comfort. I also use it on airline flights. Take it with me wherever I go and use it as a pillow when I take naps on the couch. A perfect pillow for the car. It hits the neck in the right spot for comfortable use. Because I am short, the head support in my car is too high & not comfortable. The Sherpa supports my head perfectly. Great fot neck support whe the passenger needs a nap. Very comfortable. 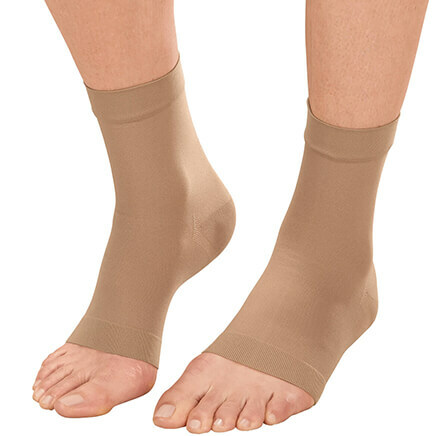 This product provides the comfort I was looking for, but was disappointed that it does not have a removable cover for washing as your ad stated it did. Even though it didn't work for the structure of my back/neck, it does work for my husband. I have bought another so we have one in each car. I never felt comfortable with the head rest as it was manufactured. This neck rest really added to my comfort zone. I got this neck pillow for the bus I take to Vegas from L.A. The seats have headrests that jut into the back of your head, leaving your neck with no support, making it impossible to nap. This neck pillow is good, but I wish it were thinner so the back of my head just reaches the seat's headrest, and my head isn't so far forward. But it's still way better with this neck pillow than without it. Since the cover is not removable to launder, I pinned decorative towels on to the pillows which can be easily removed to launder. that's great,i like it much. Not soft enough and does not provide comfortable fit between head rest and top of seat even if the seat is in the recline position. That's the area the neck rest is most needed to take up the space for comfortable support for the neck. Does not fit that need. I am short, 5'1" and need support for my neck when traveling long distances as we do in the summer. The reviews suggest to me that this is just what I need. It makes riding in the car more comfortable, especially on long trips. I love this! It works perfectly in the car and makes a trip a lot more comfortable! I needed something to support my neck in the car and am very pleased with it. Husband likes to nap while waiting for me. Keep my neck from getting sore. Was way too big! Tilted head forward. Works well under my knees in my recliner. It is really hard and I am not crazy about it. Since I purchased my Ford Flex I have had Neck problems and pain. The head rest design pushes my head forward, which is not comfortable. I am hoping that is will allow my neck to have some support and rest my head and neck equally. Should be comfy and help to protect and support my neck, so we will give it a try! Needed neck support and it got good reviews. Need the comfort for my passengers. Purchased 2, one for me and one for a friend. He sits in traffic after a long day of sitting at a desk. I have Osteoarthritis in my neck and Rheumatoid Arthritis. The headrest on my car seat does not support this part of my neck. I had neck surgery so this really helps while driving. The seats in my husband's Jeep and Nissan truck are not comfortable and do not provide any neck support when I lean my head back. Thought I'd give these a try. I hope it will reduce the pain on my neck when I drive long distances. turned out to be too big for use in car- now I use it at foot of bed to keep sheets off feet or as a lumbar pillow. I use a neck pillow in the car but every time I move so does the pillow and it keeps falling out of the car when you get out. This is a great idea! It makes driving considerably more comfortable, as I hoped it would. I NEED AND GOOD PRICE. I have shoulder, neck, and back problems. I'm hoping this will provide some comfort! Nice size and price. Very comfortable. Replacement for one I have. The reviews were GREAT! The price was RIGHT! ..... AND it's FREE shipping and FREE is GOOD!!!!!!!!!!!!!! My head does not rest against car head rest I am will be using for head and neck support. Could this be used on a power wheel chair. 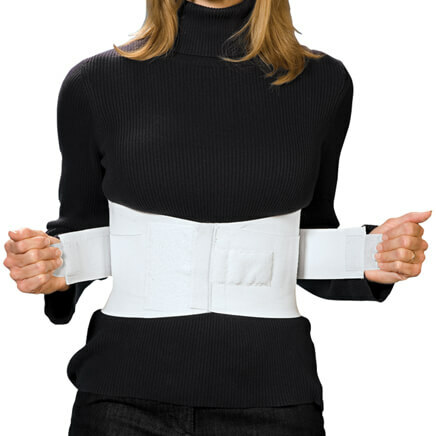 The neck rest on mine is too high for me so I was thinking this might help? BEST ANSWER: This neck pillow was great when I had to turn sideways in the back seat of a van, to allow my leg brace to be supported. It is firm, but soft to lie against. I do think it would work as a neck rest, but you may have to fasten the back a little differently as the fastening strap runs the complete length of the pillow. It is fairly thick so be aware that it may be too thick for your neck to rest against. Yes, I think it might; however, you will want to be sure that it will reach all the way around the headrest area. I gave the neck rest as a gift, so I am not able to give you the measurements, but I'm sure Miles Kimball's customer service will be happy to help with that. Wishing you the best in your endeavor to find the right neck rest for you. I believe it could be. It is comfortable. 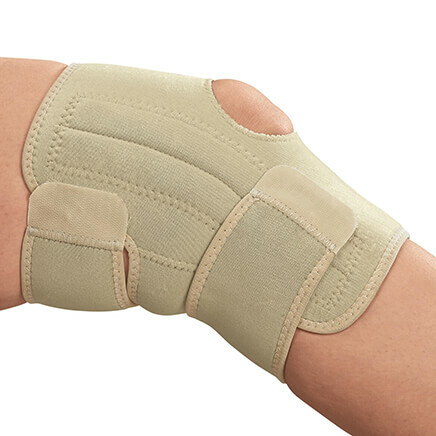 It is fitted with an elastic band that you could adjust to a proper height. We use it in the car and I am shorter than my husband so I just move it down a bit. Hope this helps. It's comfy ! and a nice support. I think it would work well as long as you had a way to firmly secure it. I use my in the car on the passenger side when we are driving long distance. it's great for neck support and very comfortable. I found it bulky too. So I used it sideways on a very long car trip one time. White gets too dirty. Might be good for to use on car seats on lower back. I Couldn't use it on mine because it pushes my head forward too much. It works jyst right in the car, but not in my power chair. What are the measurements?I have a very short neck so I need to know the size. I have way too many that are too large for me and need a smaller one. BEST ANSWER: Thank you for your question. The Pillow dimensions: 18” long x 5” diameter. We hope this information will be of help to you. Thanks. This tells me it is too big for my short neck!